When it comes to having a home courtyard, patio or outdoor entertainment area of any type, the benefits can’t be overstated. With modern apartment living making our floor plans and room to move ever more scarce, have access to an outdoor area comes as a tremendous bonus to any domestic interior. The question then is: how to make the most of this space? 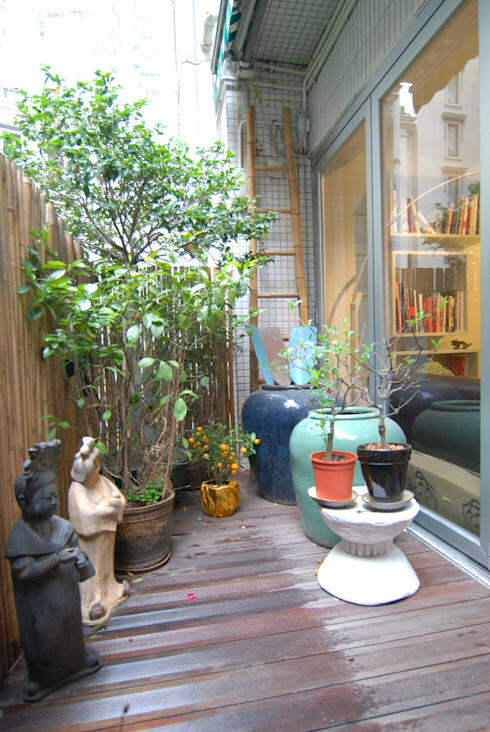 You might think that having a small courtyard is barely useable, that even if you do happen to be privy to an additional open air space, it’s largely for show, a token addition with not a whole lot you can do with it. As we’ll see today, this is far from the case. In the mix of today’s interior and exterior design tips and tricks, there are so many different things you can do to make the most of a modest courtyard area. 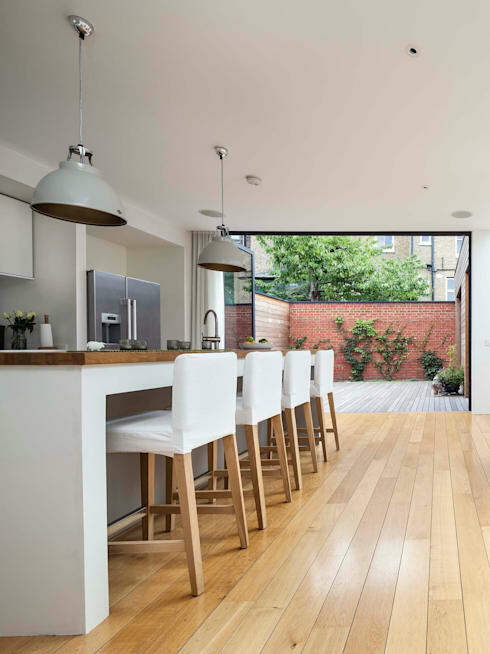 Today on homify, we’re taking a timely look at the exterior as well as the interior, with an overview on how you can make the most of your small courtyard or outdoor entertainment area. From the right mix of lighting and furniture, to a little landscaping and a few planter boxes, transforming a seemingly useless and aesthetically unappealing outdoor area into one that appeals and excites is not difficult to achieve whatsoever. Take a wander through these gems, get inspired, and resolve to make your outdoor place look fantastic this year. One of the easiest and most effortless ways to bring in a sense of additional appeal to any home courtyard is by introducing an ample and thoughtful array of outdoor furniture. With a well-selected outdoor couch or seating arrangement, you’ll instantly create a space that is luxurious, alluring and conducive to entertainment. Here, we get a glimpse of what can be done: a relatively small outdoor courtyard space that thrives thanks to the inclusion of this neat, all-weather couch and table corner area – perfect for lazing away on a sunny afternoon, or entertaining friends and family over an aperitif or two. Sometimes, the read on we can’t make the most of our outdoor courtyard is because it gets too chilly in the cooler months. While Hong Kong’s winter is far less intense than many other parts of the planet, it gets cool enough to not want to deal with the outdoors. In this case, to make the absolute most of your outdoor entertainment space all year round, why not heat things up a little? 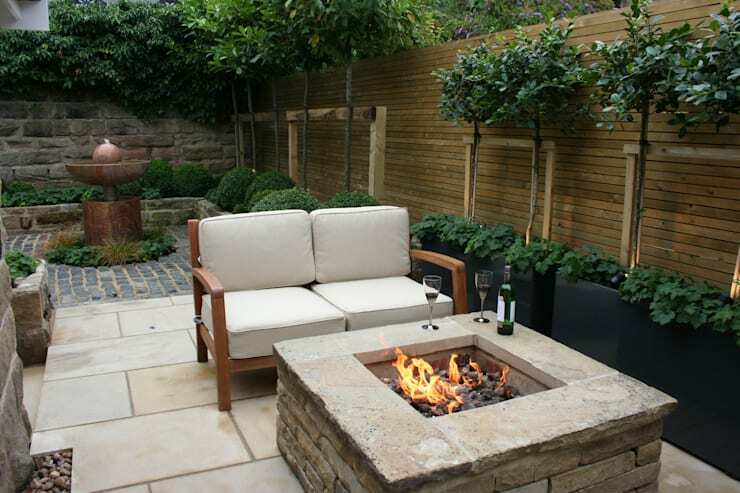 Here, we see how a wonderful brick and stone-rimmed firepit can make all the difference to the appeal and comfort of an outdoor area. Stuck with what looks to be a diminutive, difficult to work with space by the side, or at the end of your apartment or home? Living with the bonus of an open air nook, but one that you seemingly can’t do a whole lot with? Why not make the most of the space by incorporating it within the flow of the rest of your home’s design? Open plan apartments and homes are a great way not only to conserve space and give a domestic interior a sense of flow and breeziness, but they can really add to the sense of connectedness with adjacent outdoor areas as well. Here is a fabulous example of what’s possible when it comes to harnessing the potential of an otherwise poky courtyard: a design that fuses the living room, meal area and kitchen, and opens up in a linear fashion to the outdoor entertainment space at the rear of the home. Here, the courtyard area effectively becomes an open air extension of the rear living space – a great way to enhance both your indoors and outdoors. 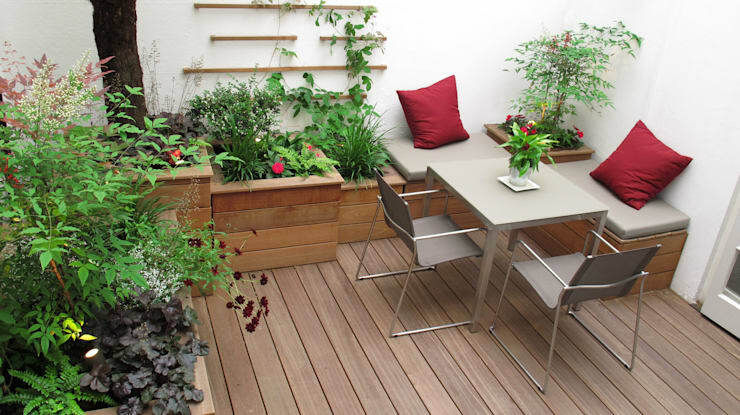 Got a courtyard or outdoor space but unsure how to go about making it more conducive to use? It can be a tricky thing to get your head around without the right information and guidance, so before you get started, why not chat to a professional? 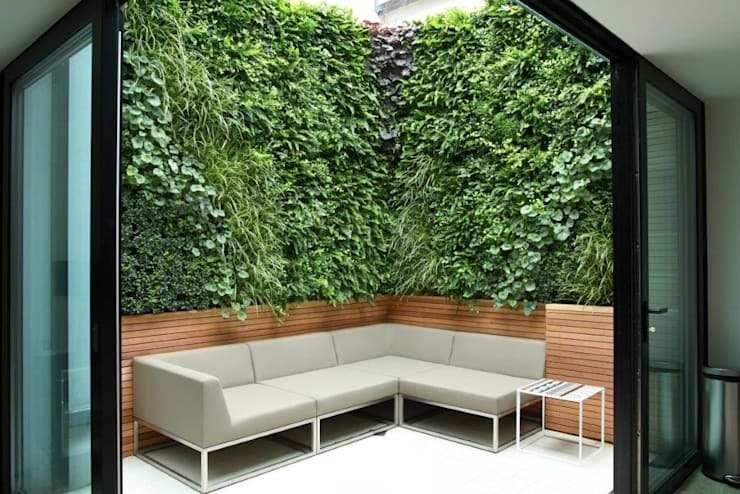 Another great way to introduce a feeling and mood of relaxation and appeal to your outdoor courtyard is through the inclusion of a lush variety of plants and greenery. The designers here certainly knew what they were doing when they set about creating this fabulous open-air oasis: a lavish mix of outdoor timber flooring, set next to planter boxes full of lush greenery, plants and a good splash of floral colour. Almost as good as an interior living room! 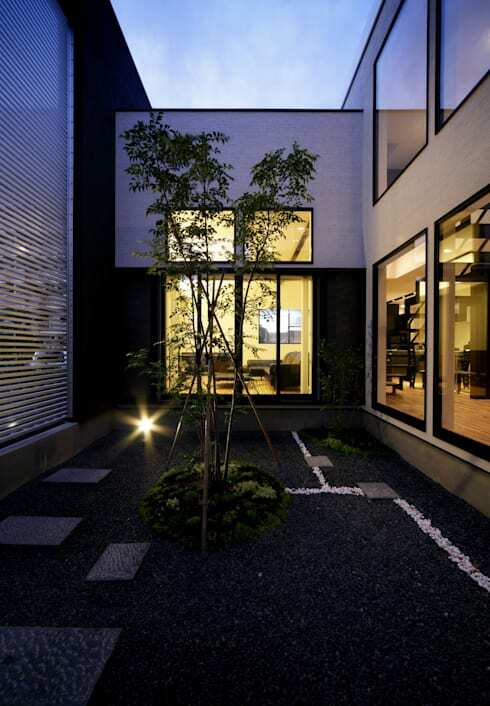 Imagination’s the limit when it comes to any room in the house, and the say can be said for the outdoor courtyard. The outdoor area is a fabulous place to bring in a sense of personalisation and a hint of eclectic design flourish. Bring in some interesting items, including vases and statues, to add to the mix of plants and pots. Whether you happen to be sitting inside or outside, daytime or nighttime, this fabulous outdoor area can’t help but add spark and harmony to the domestic setting. Even the tiniest of spaces stand to benefit from a little extra love and attention; bring in a range of different items, whether new, recycled or upcycled, and reap the benefits of a gorgeous, warm and inviting outdoor space. Outdoor areas are fabulous during the day, whether we get to use them first thing in the morning: for our stretches, yoga or meditation; for our late morning cup of tea or coffee; or simply in the afternoon for a sunset cocktail in the company of our closest friends. Yet for all the virtues of the courtyard during the day, it’s a night that we love to use these spaces the most – especially on those wonderfully warm and balmy summer twilights. To make the most of your courtyard space – day and night – it’s a great idea to implement a fantastic and well-selected variety of lighting. Whether solar powered or connected to the grid, a sparkling array of lights, or indeed a few feature lighting fixtures, can turn a dull, lifeless space into a real entertainment area, or at very least, an extra living space in your domestic mix to give you extra options and make you feel even more at home. Did you enjoy that Ideabook? Why not keep the great ideas and inspiration flowing with a look at The Artistic Hong Kong Terrace? Do you have any other handy courtyard design tips for our readers? We’d love to hear from you in the comments section below!